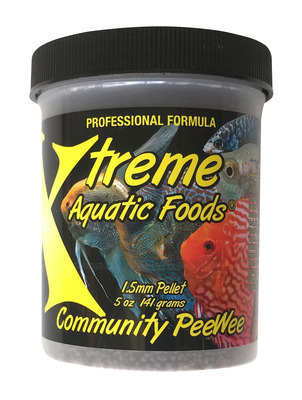 Xtreme Aquatic Food Diets are formulated using premium ingredients, including Krill, Shrimp, Herring, Squid, Menhadden and Octopus, Fish and Herring combined with Grown-in-the-USA spirulina and our proprietary Bio-pack vitamins and minerals. Nothing is left to chance. Each batch we mill is first tested, then fed on our tropical fish farm in South Florida and then packed for sale under the Xtreme brand. Much of the work we do is by hand, and every step of the process from harvest to delivery is inspected to insure that our quality standards are met.